Day two of "Genius Hour" is in the books, and what a day it has been! I began class with the request that I wanted the students to "Show me something." I wanted to see a first iteration of what they were building, learning or creating. I clarified that it might be rough, it might be ugly, it might be simple but I wanted to see where they were by the end of the class. Honestly, I wasn't sure what to expect, and from the standpoint of a teacher, that can be extremely unnerving. I have around 150 students, tackling around 130 projects that they have created. They're managing the projects, setting the goals and running them all by themselves. The only deadline I provided was a presentation of what they had accomplished, which is currently seven weeks away. My goal for today was to check on their progress, provide minor course corrections, and most of all, provide encouragement and praise. That last part was the most important; It was also the easiest. We're still just at the beginning of this experiment and I wanted to ensure that the students got off to a good start. On so many assignments we begin I feel that the students aren't seeing the potential of what the project could become. In fact, I believe it's easier and more common for people to focus on the possible ways they can fail, rather than the potential the project could become. I need them to get excited about what they're learning and focus on the possibilities. Two things that I believe can change that viewpoint are peer competition and authentic positive praise. Unfortunately, with this being my first year hosting "Genius Hour", I don't have any work from previous years. Sure, I could show student work from other schools as an example of what it could be, but I find in most cases, those examples hold little to no weight. It loses a lot when one student can't relate to the other. It should go without saying, but authentic positive praise is something you should always provide your students. I'm not talking about "Good job Johnny. ", followed by a pat on the back. I mean specific, real, genuine praise. Remember, what you're checking for in this case is learning. Also keep in mind, at this point you're looking at a "first iteration" of each of these. The product right now is almost certainly not at the quality the student is hoping for, but give specific encouragement for learning, problem solving and in appropriate cases, working in groups. Since the students are responsible for "how" they are going to learn, whatever it is that they've chosen, it's interesting to watch the methods they've selected to learn by. Google and YouTube are clearly in the lead of the educational resource race. But I've also seen students using mobile apps on their phones. Completely absent from the list, as far as I can tell, is any kind of "book". 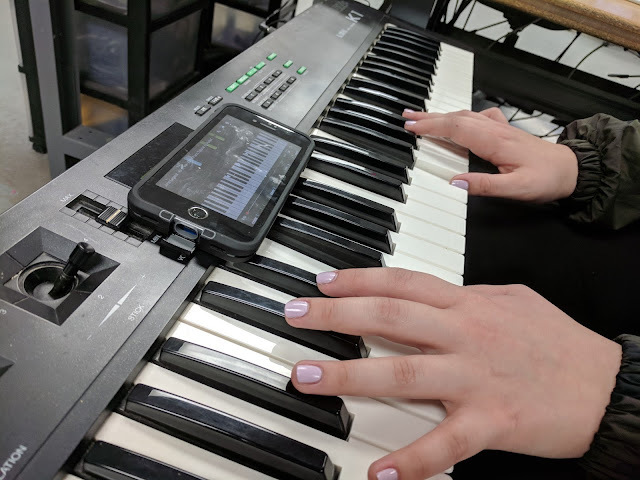 I admit, the musician in me had to hold back a couple of times when I saw students learning piano with an app that looked like "Rock Band", as armies of colored bars marched from one side of the screen to the next. "You'll never learn to read music that way! ", I shouted internally before it occurred to me that that is EXACTLY the way I learned to play the electric guitar. Instead of the shouting, I sat back and watched a moment and it was clear, however they were doing it -- it was working. It may be called "Genius Hour", but it's clear that some students are extending that time. Throughout the week I had a number of students show up during lunch, my tutoring block and during "open lab" on Wednesday to work on their projects. Several other groups were clearly working at home, by evidence of the photos and videos they were working with in class. One of the most brilliant things I saw today happened with a 10th grade student who is learning to play guitar. She is paired up with another student, and together they are going to perform a song at the end of the 9 weeks. Apparently the song they selected requires a capo on the guitar. For those that don't know, a capo is a small clamp that attaches to the neck of the guitar that changes its tuning. 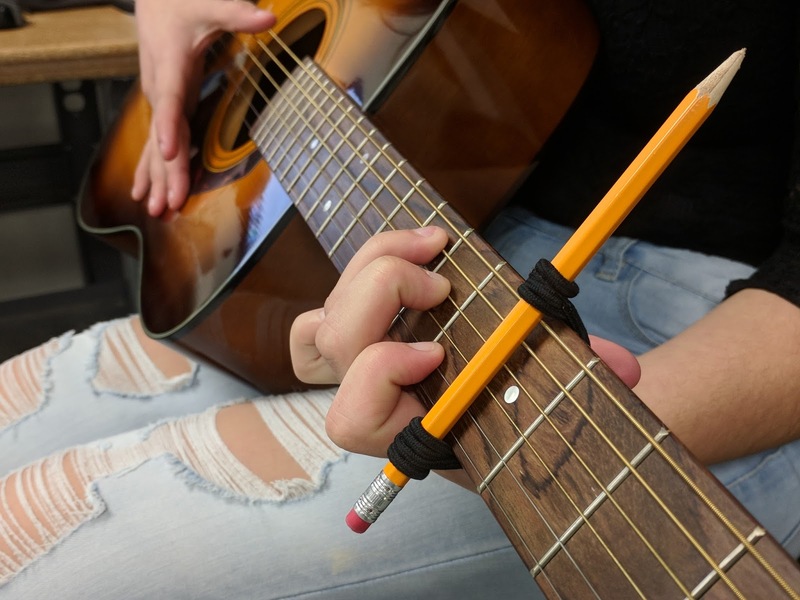 They normally cost around $15, or -- if you're at school, a pencil and a couple of hair bands seems to do the job nicely as she illustrates here. 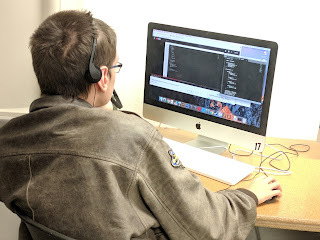 Another student, a future theater major, chose to develop a game for actors that they could use as a good warm up before class or a performance. These types of games typically involve making strange sounds, jumping around wildly, or improvisation around imaginary objects. She brainstormed several ideas, but was growing frustrated because with each idea she had, she would look online to find that someone else was already doing the exact same thing. As a result, she found herself with a handful or more of acting activities but felt she couldn't use any of them because "they had already been done." I asked if she'd thought about creating a book that included a wide variety of activities actors could use to warm up instead. Looking down at her growing list of thespian activities, she realized she was already well on her way to doing exactly that. By the end of class she had her title, "How to Look Stupid in Front of Large Groups of People". The most epic, and hilarious "fail" came at the end of the day. Another pair of student were working on developing their own skincare products and today, they were putting together a facial mask. Since I can't very well have them mix the mask in the computer lab, they relocated to the Forge (our enormous maker space). A while later they both ran up to me laughing so much they could barely get our their message, "Mr. T, our facial mask is a fail and we got it all on camera." Apparently, the only container they could find to mix their mask was a white Styrofoam cup, and whatever they put in their tea tree facial mask didn't react well with the cup. It heated up and melted through the whole thing. What's important to note here is not the "fail". What's important, is that their experiment had failed and they were laughing. Last, but not least, this is Connor. He's my son and this year he's also one of my 9th graders. He's a gamer. He's absolutely brilliant when it comes to wars and historic conflicts. He can identify virtually any plane, ship, weapon or vehicle from just about any war. He's also Autistic. It's like a hyper-focused super power. Today, he was focused on his Genius Hour. For his Genius Hour, he chose to program a mod for a World War II game. A "mod" is something that changes an existing game in some way. Sometimes the changes are large, other times, they are minor. Friday is "pizza day" and he usually makes a beeline for the cafeteria as soon as class is dismissed. He was so focused on the mod that I almost couldn't get him to go to lunch. Once we were in the cafeteria, he said he was going back to the lab when he was done eating and then proceeded to devour his pizza in record time. Today -- on day two, he finished his first mod. Yes, it was a simple mod, and he followed a tutorial, but it required programming and he completed it, put it in the game and it worked perfectly. He's already got a list of several ways he may expand on it. These are only a handful of examples of the incredible things I witnessed today, and they leave me increasingly curious and excited about what I'll see in the coming weeks. But today wasn't without it's flaws. The flu has hit hard this season and we had a number of students absent from school on Friday. This created problems for several of our group projects. Teams that were creating websites or, collecting files or photos on their phone or computer lost access to those files. I'll bring up the issue on Monday, and have them develop their own solutions before next Friday. But What About Those That Have Nothing? I wish I could say that I had 100% buy-in from all the students, but to be fair, that percentage sits at around 96%. No matter how much try to talk up the possibilities of what they could accomplish I have a handful of students that just don't seem to be "into it". As I tour the room, I tap them on the shoulder, or ask them "What are they working on right now? ", which usually gets them to rotate back toward their computer keyboard, but they seem more interested in talking and distracting the people around them than they do about using the time provided. Another area in serious need of help, sadly, is the documentation side of things. After taking an hour or so to review all the websites, vlogs and S.H.I.E.L.D. sites (portfolio) where students have chosen to journal their learning....I find that only around 15% have posted anything in the ballpark of what I was really asking for. Around 40% of them have posted no link at all. This is critically important because this is where the assessment is coming from and it's their chance to tell their story. With numbers this large, the breakdown clearly falls somewhere on me. Obviously, I either haven't given them enough time, or I've failed to correctly model what I'm looking for in terms of documentation...or possibly both. So, I've got some pondering to do on assessment and demonstration of documentation. As our second week comes to a close, I'm still constantly amazed at the learning these students are creating for themselves. 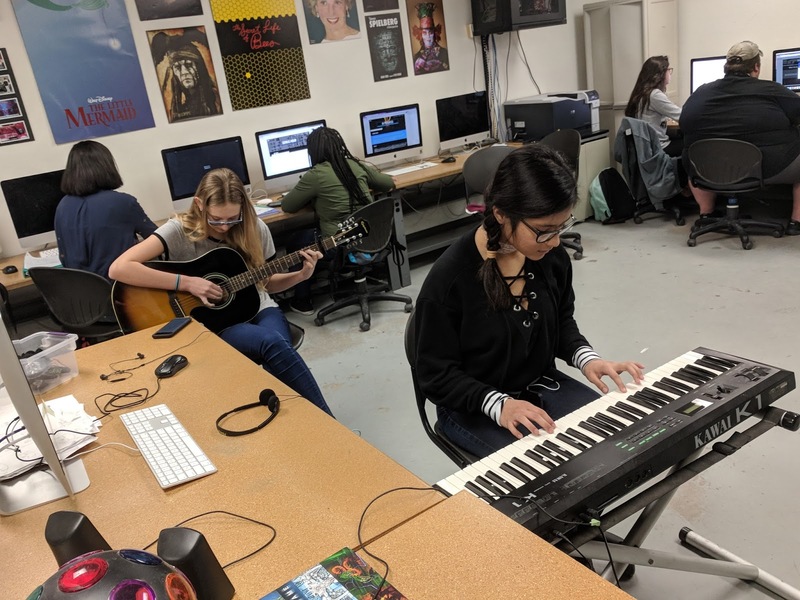 Whether it's learning all the parts of a car engine, making their own cheese, or prepping for the SAT, these students are owning 100% of their education for that one hour of time. They're focused, on task, and truly interested in what they are learning. I can barely contain my excitement for how each of these projects is going to turn out. And the further they progress, the more I'm beginning to think that spending a couple of days presenting to their own class may not do justice to the learning the students are creating.